DTPS deputy minister Hlengiwe Mkhize believes it is essential to make sure women are e-literate as government moves towards SA Connect. 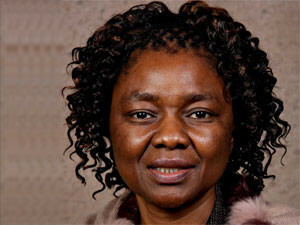 Government is looking to boost the number of women in ICT-related jobs, as the country celebrates Women's Month. Telecommunications and postal services deputy minister Hlengiwe Mkhize officially launched government's new gender and ICT strategy in Pietermaritzburg last week. She says the department did extensive consultation to develop the strategy and found a key challenge is the "low participation of women in the ICT sector". Another key issue is capacity-building opportunities, especially for rural women. The department says this led to a "focus on gender and ICT literacy training" as part of the new plan. According to the Institute of Information Technology Professionals of South Africa, 56% of global ICT professional jobs are held by women, but in South Africa only around 20% of the ICT workforce are women. The representation of black women in the ICT space is even more troubling, according to Tashline Jooste, CEO of ICT enterprise development initiative, the Innovator Trust. She says the main barriers to entry for black, female-owned SMMEs in this field are the scarcity of both technology and business resources and skills, as well as a lack of access to potential clients. "In some instances, the stereotyping of women by organisations within a primarily male-dominated industry present major hurdles for females. Many are discouraged from endeavouring to find success in ICT due to a perceived lack of support," says Jooste. Mkhize agrees there are still imbalances in terms of representation of women within decision-making structures in SA, especially within the private sector. "The [gender and ICT] strategy therefore tries to address this through promoting programmes that seek to equip women to take up their rightful place within this leadership, therefore also supporting government legislation or policy that promotes gender parity and emancipation of women." The gender and ICT strategy plans to use ICT to help combat violence and abuse against women, and also to help boost economic empowerment opportunities, jobs and ICT skills development for women with disabilities. Jooste, however, notes that simply gaining access to markets is not enough to boost female-owned businesses and the ICT industry at large. "Concrete business acumen, a sustainable and workable business model, as well as ongoing skills development are crucial elements to the success of black female-owned SMMEs in the ICT sector." Mkhize believes it is essential to make sure women are e-literate as government moves towards the successful implementation of its SA Connect national broadband policy. "The department has revised its strategic goals and objectives to focus on specific broadband programme priorities...aiming to provide access to broadband to 50% of the population by 2016 and 90% by 2020," according to Mkhize. "The 2015/16 financial year will see the implementation of the first phase of the digital development pillar, which is providing broadband connection services to schools, health clinics and other government facilities in eight districts where National Health Insurance is being piloted."